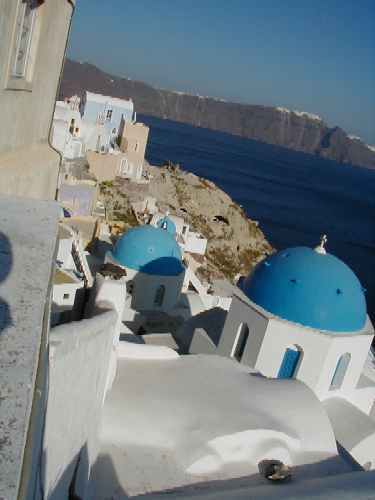 The Island of Santorini is a volcano which erupted and was destroyed 2,500 years ago. 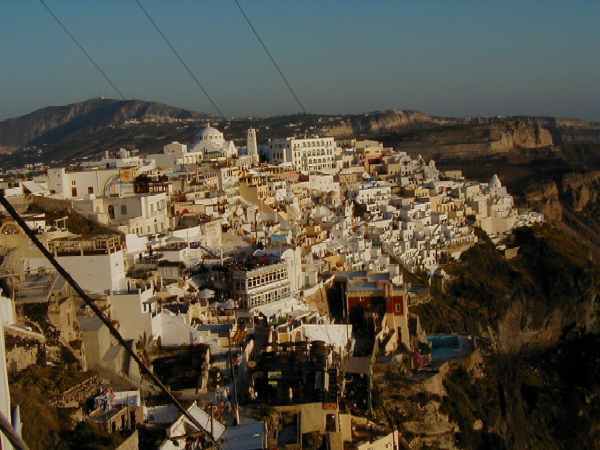 The inner crater has very steep sides and the village of Oia is perched on the northern rim. 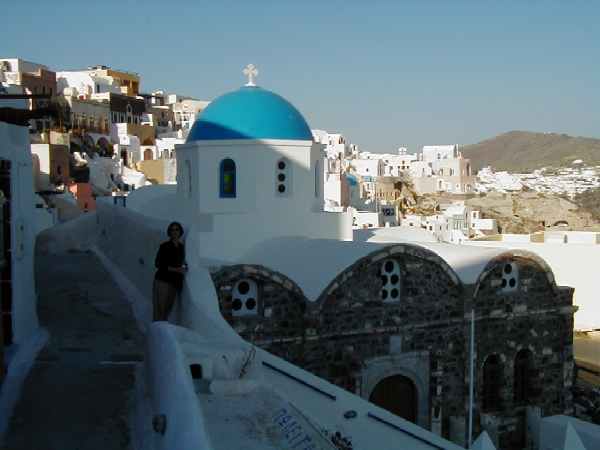 The left photo is of Terrie in the village of Oia. 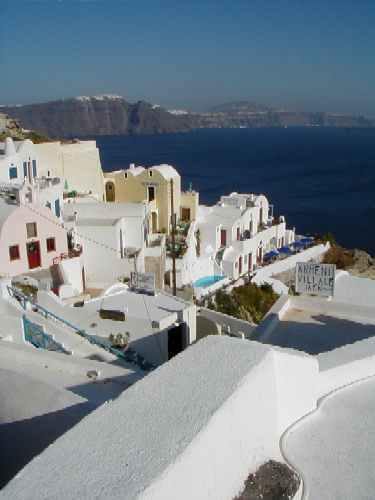 The right photo is the capital city of Fira, which has a cable car to the port. 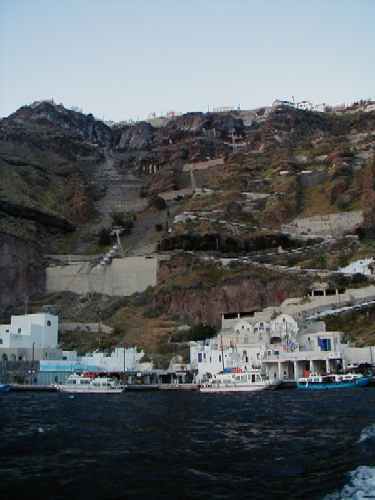 The left photo is of the port at Fira. The cable car and stairs up to the town can be seen in the photo. 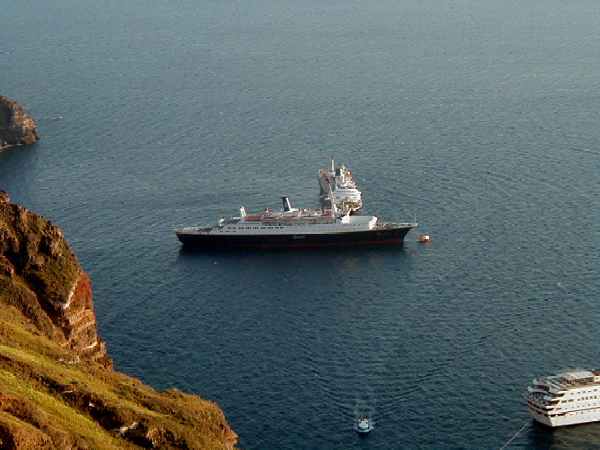 The right photo is of our cruise ship, the World Renaissance, as seen from the the rim of the crater in the city of Fira.